It’s true that rooting your device is far less popular than the good old days. Stock Android grew up quite a bit and root is simply less appealing than it once was. Also, apps like Netflix, Pokemon Go, and Google Pay don’t work on rooted devices without some fun hacks for some dumb reason. However, there are still those who prefer the root experience and there are still plenty of excellent root apps that improve functionality and do stuff that unrooted devices can’t do. Here are the best root apps for Android! We also left Chainfire’s apps off of the list because, well, he’s throwing in the towel. We wish him all of the best in his future endeavors. Here are some more articles you might find interesting! AdBlock Plus is a free, open source app. As you may have guessed, it removes ads from the device. Root users swear by this one We bloggers don’t like it, but we’ve accepted that people really do find this app useful. This one is configurable so that some unobtrusive ads get through. The app is also lightly configurable. It’s not available on the Google Play Store but there is an official link from ABP that you can use by clicking the button above. It’s definitely among the best root apps. Apps2SD moves apps to the SD card with root. It works like most apps-to-SD apps. This one moves the APK, odex, dex, lib, internal data, external data, and more. The app also includes a Busybox installer, app remover, support for adoptable storage, a terminal emulator, and some more useful tools. Moving apps to the SD card isn’t as popular as it once was. However, it still works well for devices with less internal storage. Additionally, the other tools are still quite useful. It’s free with advertising. JRummy is a developer on Google Play with tons of popular root apps. Some of those apps include the popular ROM Toolbox (sans its app manager thanks to Google Play policies), a BuildProp editor, a root file explorer, BusyBox installer, and many more. These apps fill in a bunch of basic root use cases. The ROM Toolbox is the flagship app with a ton of features built-in. The apps vary in cost, but most of them have a free version as well as a premium version. Kernel Manager is a root app for devices with Franco Kernel installed. The lets users tweak a variety of things, including CPU frequencies, the governor, GPU frequencies, color temperature presets, and a lot more. It also supports at bunch of devices, specifically in the Google and OnePlus lineup of devices. This isn’t the only app for a specific aftermarket ROM or kernel. However, this is definitely the best one if it’s compatible with your device. It runs for $3.49 and it’s highly recommended for those who want more control. Magisk is one of the most popular and powerful root apps. It’s also relatively new. Its big function is allowing you to hide root very effectively. That lets you do things like watch Netflix or play Pokemon Go while rooted. It has a variety of other functions, including modules that add even more functionality. It’s a real must-have root app. It’s not longer available on Google Play. Thus, you’ll have to pick up the APK from XDA-Developers. The app is also in active development. That means it gets new features, designs, and fixes fairly frequently. Here are some more recommendations for you! Quick Boot is an app that is both absurdly simple and absurdly useful. In most versions of Android, the power menu is weak sauce and you can only power down and sometimes you can reboot. Quick Reboot fixes this by allowing you to boot to recovery, and boot to bootloader. It can also go to device-specific things like Download Mode for Samsung devices or fastboot on certain devices. It’s quick, simple, and makes finding an advanced power menu for your device a little bit less of a priority. It’s definitely one of those root apps that everyone should have. Rashr is one of the newer root apps with flashing capabilities. It supports a variety of things, including recovery flashes, kernel backup, IMG flashing, logging, and much more. The app contains ads. However, they are optional for developer support. You can actually disable them in the settings if you want. The app is entirely free also with optional donations for development support. It’s also open source. This is probably the best flashing app available right now that still gets regular updates. Servicely is an app that helps control background services. This will allow you to do something like prevent Facebook from running in the background while your device screen is off. It’s a stop-gap for stopping rogue apps and unwarranted wake ups of your device. 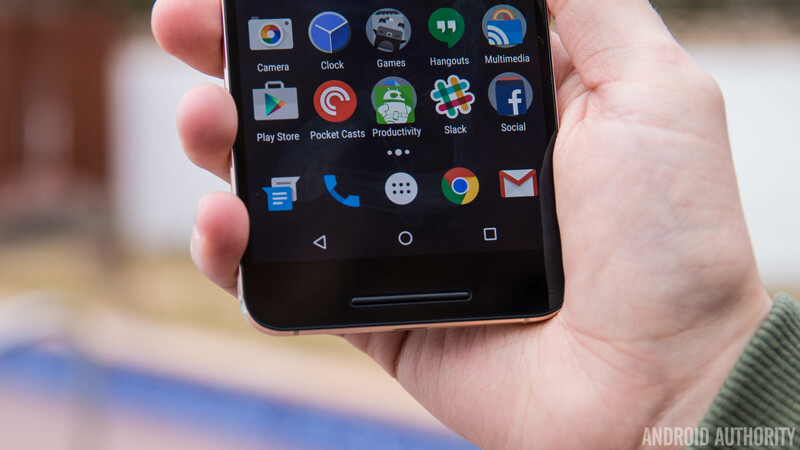 It may even improve performance and battery life depending on the services you stop. It’s a little less relevant now thanks to improvements in Android’s Doze Mode. It’s still good for those who want to manage their running services a little more. Greenify also works pretty well, but not quite as well as this. Solid Explorer is a really good file manager. It works without root for most tasks. The app can do the usual stuff like copy and paste, unzip files, etc. It also has support for cloud storage and network storage devices. The design is good, too. There is the option to enable root within the app. That allows you to do all kinds of stuff that you couldn’t previously. There are a lot of good file managers with root access. However, this one is clean, it works well, and it’s cheap with no advertising. Substratum is a theming engine for Android. It’s not available on every rooted Android smartphone. However, it works really well on the ones that it supports. It should work best on stock Nougat, stock Oreo, Samsung devices with Nougat, and a few other devices and Android versions. You download and install the app. Then you seek out Substratum themes online or the Google Play Store. Apply the theme and that’s all she wrote, so to speak. Some themes cost money, but there is a healthy selection of free options as well. You can also find support for this on XDA-Developers, Reddit, GitHub, Google+, and even Telegram. We have a couple more app lists you might enjoy! Next on our list is a very useful root app called Tasker. This powerful application can make your phone do pretty much anything you want. It’s a vague description but an accurate one because the only limit is your imagination. Many of the functions don’t need root permissions. It does add some functionality if you have it, though. It’s a great application, especially for tinkerers and those who have unusual needs for their smartphones. Do beware, though, because the learning curve is rather steep. It’s useful with or without root. 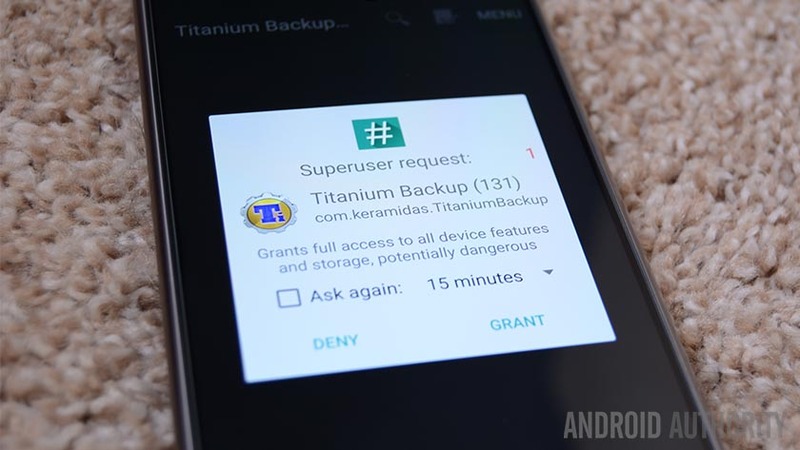 Titanium Backup is a long time mainstay at the top of many root lists and it feels almost blasphemous to not include it here. With this application you can uninstall bloatware (a must have for many people), freeze apps (leaves them installed but prevents them from ever running), and backup your applications and application data. ROM flashers have sworn by this app for years. Everyone recommends it to new root users. If you have root, go get it immediately. It’s probably in the top three most useful root apps ever. Wakelock Detector does exactly what the app’s name suggests. It helps you find apps that are acting out of line. That way you can take the necessary steps to stop it. This is valuable because a wakelock can mean a lot of things. 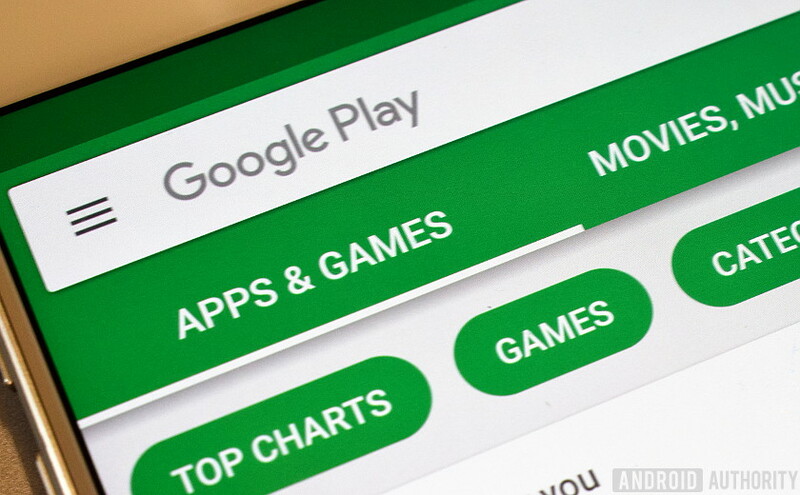 A rogue app going nuts, Google Play Services running rampant, or occasionally it can even mean something is wrong with your device. 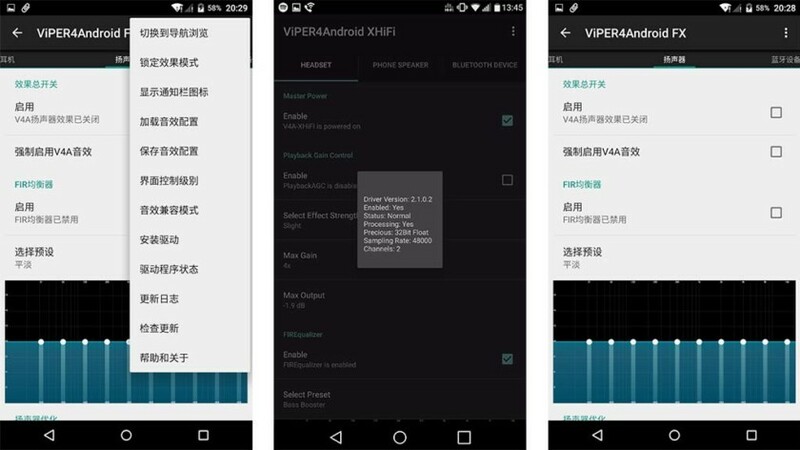 Wakelocks are one of the worst causes of battery drain and most root users eventually wind up with this app to help them figure out why. It’s one of the essential root apps for battery life. Xposed Framework has replaced installing ROMs for many as the default root experience. Modules are created inside of the framework by many developers that do various things like theming, UI and performance tweaks, visual modification, button remapping, and much, much more. Modules can be a tad difficult to find sometimes depending on your device but there are plenty of universal ones that you can use and enjoy. The button below will take you to the XDA thread where you can download it and learn more information. It’s a must have for root users these days. Thank you for reading! We have some final shamelessly promoted articles for you! If we missed any of the best root apps for Android, tell us about them in the comments! You can also click here to check out the latest Android app and game lists! Previous articleHere are all 5 YouTube apps and what they do!